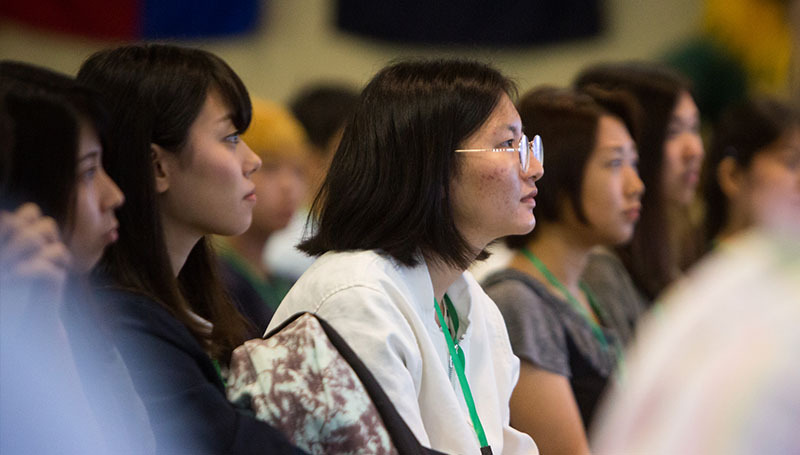 Nearly 60 international students were welcomed to campus during a special orientation prior to the start of the fall semester – one of the highest turnouts for the annual event in recent years. New and returning international students attended the two-day event, which included a campus tour, meals, games and more. They also participated in Third Thursday activities in downtown Joplin, visited the mall and made other stops designed to show them what’s available in the community. Takumi Hayakawa, an undeclared sophomore and native of Japan, said his only complaint is that he can only stay at Missouri Southern for one semester. Total international student enrollment for the Fall 2018 semester is around 225 students from at least 40 different countries, Clay said. In addition to orientation events, the international program goes to great lengths to make sure students get the full college experience. “They participate in Homecoming – they’re part of the parade and the halftime event, which is really fun for them because they get to carry their country’s flag and be a part of that, which is a really big thing for them,” she said. “In the spring we also do an international student prom – they just love it.